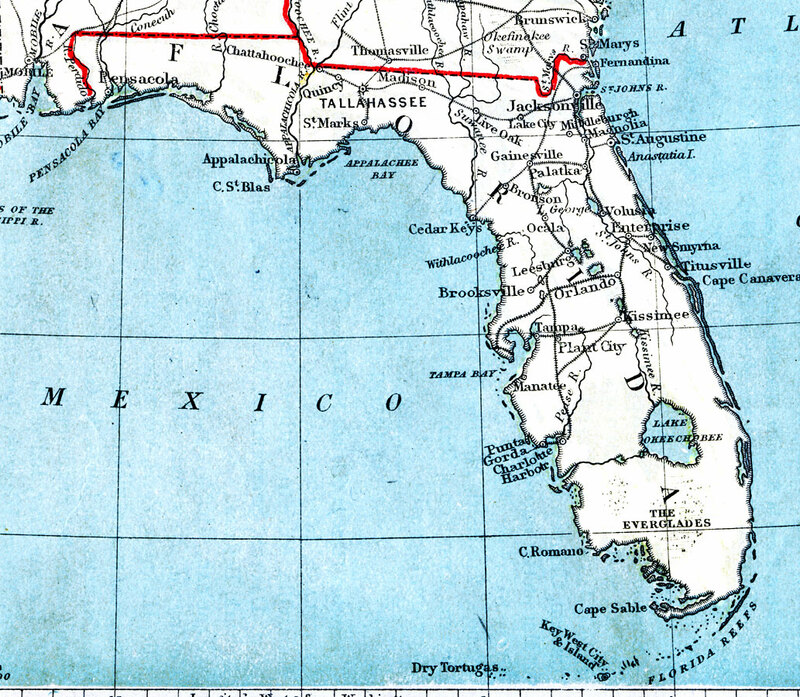 Description: A map of Florida showing railroads, rivers, and cities current to 1888. The Everglades are also shown. The city of Miami is NOT included on this map.